Each year, the East End Preservation Society presents the CR Ashbee Memorial Lecture. 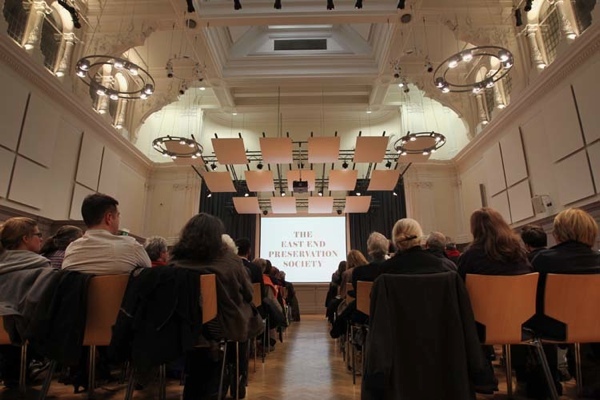 The inaugural lecture was delivered by Oliver Wainwright on the Seven Dark Arts of Developers, the second lecture was delivered by Rowan Moore on The Future of London and last year Maria Brenton, Rachel Bagenal and Kareem Dayes spoke about Hope in the Housing Crisis. Perhaps more than anyone else, CR Ashbee tried to put the ideas of William Morris into practice. 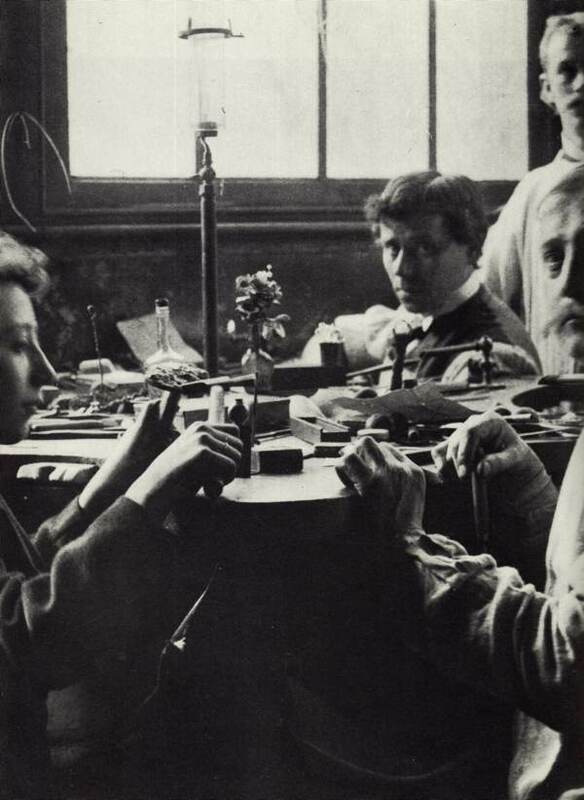 The lecture will explore Ashbee’s role in creating the Guild of Handicraft in Bow, in saving Trinity Green Almshouses from demolition and founding the East End Preservation Society in the eighteen-nineties. 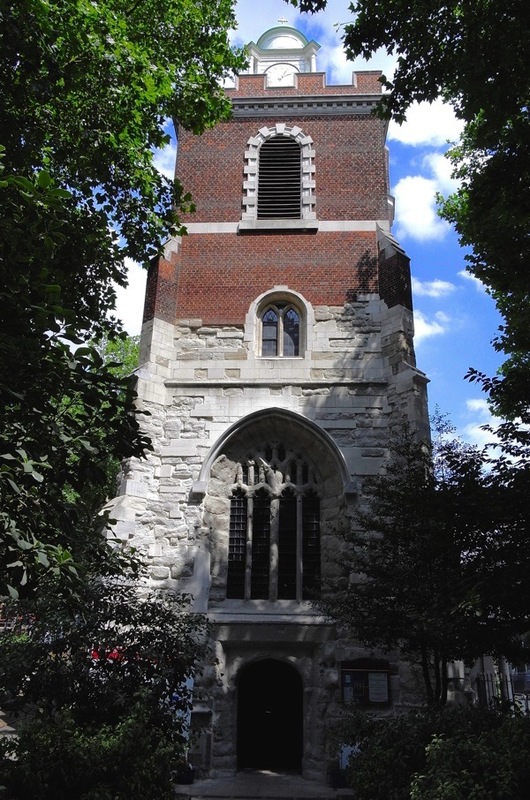 The lecture offers an opportunity to visit the fourteenth century Bow Church which was repaired by CR Ashbee in the eighteen-nineties and has just completed a recent programme of repairs to the tower. 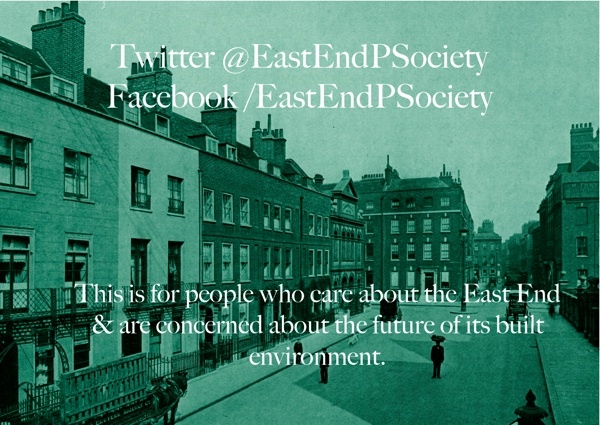 “To me, it is obvious that an East End Preservation Society is needed a) to gather and represent local opinion b) to help East London people stand together c) to give them a voice and make that voice count (to ensure it is not only heard but also that it is acted upon) and d) to reveal and promote an urban vision which is not governed by short-term and personal profit, but which evokes and embraces more worthy and more communal aims – and which enshrines the spirit and character of East London. Our opinions – the opinions of ordinary Londoners – matter, and must not be cast aside by corporations or corporate politicians. United we stand, divided we fall. Is there any way you could have the lecture either streamed live, or record it and made available for those who cannot make the lecture? I live in the United States, and simply cannot jump across “the Pond” to see it, but I would love to watch it. Oh how I would love to be at the lecture for a variety of reasons. For 4 years in the early 1970s I lived across the road from Bow Church in a student flat above Harry Rose’s bookmakers in what was then a parade of shops. Those shops have now all gone and newer flats built in their place. I have come to love the Arts and Crafts period and Ashbee is one of my favourite designers from that time. Over the years I have collected several little pieces but have yet to acquire a piece from the Guild of Handicrafts. I will be with you in spirit, and know it will be a wonderful evening!